The real issue in the US–China trade negotiation is the dramatic change in China’s economy evident over the past decade. 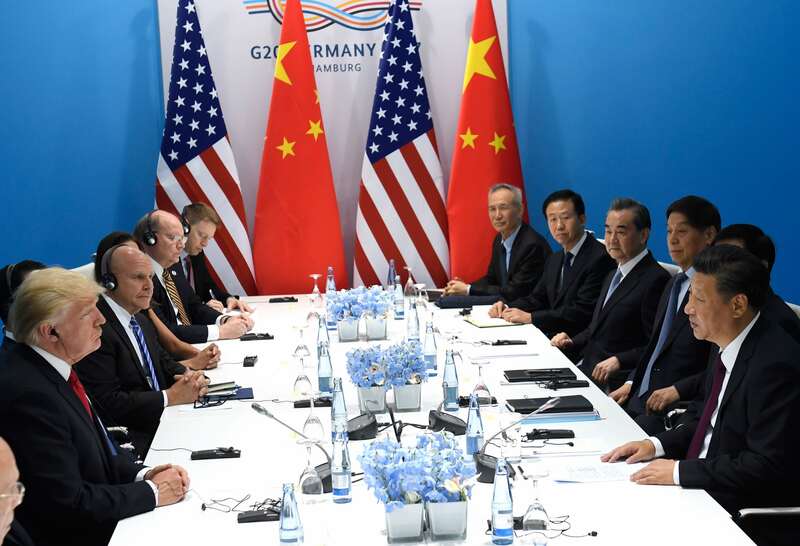 Some of the most apparent economic strains between the US and China, including the trade deficit, current account imbalances, the US dollar/renminbi exchange rate, are now legacy issues of minor pertinence in the current negotiations between the two giants. The real economic strain arises from China’s changing economy and its push into high-technology manufacturing. Much can go awry but a deal including at its core new Chinese undertakings on intellectual property is eminently possible. A wider deal to include new disciplines on industry subsidies probably needs participation by other major economies and cannot be achieved within the current time frame for negotiations. Although some national security policymakers in the US are pressing for an economic ‘decoupling’ of the US and China, the data suggest separation on any significant scale would be as damaging to the US as to China, and perhaps much more so. China and the United States are in talks over their so-called trade war, the biggest threat to economic globalisation in decades. While the focus of the dispute has centred on tariffs, the underlying economic issues involved in the talks are both simpler and more complex, less dangerous and more dangerous to the rest of the world, than widely thought. The Trump administration portrays the trade deficit between China and the US as unfair, yet US exports to China since it joined the World Trade Organization (WTO) in 2001 have grown very much faster than China’s exports to the United States. US manufacturing output, said to be devasted by imports from China, has increased strongly over the past decade. The US seeks better investment access to China, but American business investment in China is much smaller than its investment elsewhere (including in Australia) or indeed investment in China by other countries. And while the US has often warned of China’s coming economic dominance, China’s GDP today is only two-thirds that of the US — and by the time it reaches America’s economic size, it may well also have slipped down to, or even below, America’s growth rate. Meanwhile, other than in trade in goods, China remains much less integrated in the global economy than America. Yet if some of the economic tension between the US and China is imaginary, much is not. China is increasingly able to compete in high-technology manufacturing, one of America’s strengths. America’s complaints about “forced technology transfers” and cyber theft of commercial information trade are well made and must be addressed. So, too, a global agreement on industry subsidies would facilitate trade and investment worldwide. In the current negotiations, China may well agree to move on intellectual property protections, investment access, and curbing commercial espionage. It may agree to a wider negotiation on industry subsidies. It has already agreed to buy more US products. The elements of a deal are there. But China will never accept handicaps on its technological advance, or adopt American views about the economic role of the state or the Chinese Communist Party. The data presented in this paper also suggest that an American decision to economically ‘decouple’ from China would be at least as damaging for the US as for China, and perhaps much more so. Well handled, the talks between China and the US can mitigate the tectonic grinding of this great power collision. Poorly handled, there is a considerable risk of dividing the global economy in ways uncongenial to most of the rest of the world — and especially to Europe, Japan, Korea, Southeast Asia, and Australia. This paper sorts through some of the main economic issues involved in the negotiations to identify those which despite their public prominence no longer really matter, those in which agreement is possible, and those where agreement is unlikely.